Like all golfers, early lady members of the DWGA were always looking to better their game. During the 70s fitness and good nutrition became to be a part in golf. Mrs. Herbert Balick of Brandywine Country Club credited her 5-4 victory over Mrs. Marvin Freed, Brandywine Country Club, in the semifinals of the Delaware Women’s Amateur to her fitness and lifestyle trainer, Miss Gudren Fyrwyld from Norway. 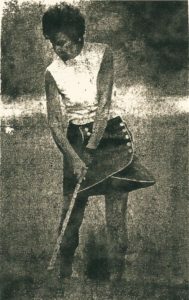 Mrs. Balick went on to compete in the 1971 Delaware Women’s Amateur Golf ChampionshipTournament at Penn Oaks Country Club. The headlines in the news read, “Down 5 After 9 Holes”, but it wasn’t Mrs. Balick who was down, she was leading, it was Mrs. William Smith that the headline was referring to. Then on hole 10, things started to change for Mrs. Smith. She went on to win the next 4 holes. Then Mrs. Balick bounced back and took the match in to a sudden death playoff of 3 extra holes. This match play event proved to be another exciting round of golf played by the ladies in the Delaware Women’s Amateur. Mrs. William Smith, Wilmington Country Club, ended up defeating Mrs. Herbert Balick, Brandywine. Mrs. Smith was five down after nine holes. She went on to win the match when she two-putted for a par from 35 feet on the third sudden death hole where Mrs. Balick three-putted from about 40 feet.